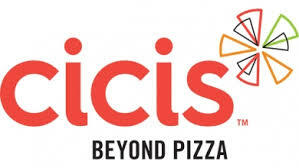 CiCi's Managers play a key role in the operation and sales growth of our restaurants. Our Managers have the overall responsibility for directing the daily operations of a restaurant, ensuring compliance with company standards in all areas of operation, including product preparation and delivery, Guest relations, local store marketing, restaurant maintenance and repair, inventory management, team management, recruiting and retention of team members, financial accountability, ensuring that the highest quality products and services are delivered to each guest and other duties as required or assigned. We are looking for Assistant Managers who will have the overall responsibility for directing the daily operations of a restaurant in the Restaurant General Manager's absence, ensuring compliance with company standards in all areas of operation, including product preparation and delivery, guest relations, restaurant maintenance and repair, inventory management, team management, recruiting and retention of team members, financial accountability, ensuring that the highest quality products and services are delivered to each guest and other duties as required or assigned. Growth Potential - ALL UP TO YOU!! If you prefer to apply via text messaging, please send code 59440 to phone number (765) 204-0311. 1. Are you able to work a flexible schedule including nights, weekends and holidays? 2. Are you able to work flexible shifts weekly including opening and closing? 3. Do you have a reliable way to get to work on time? 4. Can you work at least 4 shifts per week? 5. Will you be willing to take a drug test administered in accordance with state and federal law, if required by the employer for the assignment? 6. Can you work on Mondays between 9:00 AM and 11:00 PM? 7. Can you work on Tuesdays between 9:00 AM and 11:00 PM? 8. Can you work on Wednesdays between 9:00 AM and 11:00 PM? 9. Can you work on Thursdays between 9:00 AM and 11:00 PM? 10. Can you work on Fridays between 9:00 AM and 11:00 PM? 11. Can you work on Saturdays between 9:00 AM and 11:00 PM? 12. Can you work on Sundays between 9:00 AM and 11:00 PM? 13. What did you like most about your most recent job or position? 14. What do you think would be a good reason to be absent from work? 15. How do you handle people who are hard to get along with? Jobalign.com may collect or receive information about you when you register with the Jobalign.com website or submit information, including, but not limited to, user name, password, first and last name, email address, street address, occupation, messages you send to users, credit card information, billing information, information about third parties such as references or contacts, provided applicant information and any other data included in a submitted profile. We may also ask you questions that may be relevant to certain employers. Jobalign.com may also record actions taken on its websites including, but not limited to, clicks, page views, IP address, and search queries. Jobalign.com may store this information on its equipment or the equipment of third parties that it has a relationship with for that purpose. Please note that emails, messages sent via your web browser, and other similar means of communication with other users are not encrypted. We strongly advise you not to communicate any confidential information through these means. Jobalign.com may use demographic and/or profile data to tailor your experience on Jobalign.com’s site, show you content that Jobalign.com thinks you may be interested in, and display content according to your preferences. If you have created a Jobalign account you can review and change certain personal information relating to your Jobalign account at any time by visiting our member information page. Otherwise, to request changes or deletion of your personal information please email us at support@Jobalign.com or by contact us by telephone or postal mail at the contact information listed below. We will respond to your request within a reasonable timeframe. Jobalign.com’s site may ask you to give Jobalign.com contact information (such as your name and email address), demographic information and response to profile questions. You agree that Jobalign.com may, as part of its services to you, communicate with you, or initiate communication with you on behalf of a 3rd party, through your Jobalign.com account or through other means made available through your contact information such as email, phone, or postal mail. Jobalign.com may also use your contact information to (i) send you job alerts; (ii) create an account; and (iii) send you information about Jobalign.com and promotional material from some of Jobalign.com’s partners. You may choose to stop receiving promotional or marketing emails by following the unsubscribe instructions included in these emails, accessing the email preferences in your account settings page, or you can contact us at support@Jobalign.com. To the extent you provide Jobalign.com any information, and subject to your Privacy Settings, Jobalign.com may make your contact and other personal information available to third parties who may be interested in you as an employee. Your personal information gets placed on the Jobalign.com website when you establish a profile or log-in to the Jobalign.com website and may be available to other site users. This means that third parties that use the Jobalign.com services can view the personal information and you may receive unsolicited contact from parties unaffiliated with Jobalign.com and for whom Jobalign.com has no responsibility. You may opt-out of this feature by editing your Privacy Settings; however, Jobalign.com does not warrant how often third-party search engines will update their caches, which may contain old public resume information. Jobalign.com reserves the right to charge third parties a fee for accessing your information as part of Jobalign.com’s services. We supply technology, hosting, hiring management and related services to other companies to power recruitment areas on their websites (sometimes referred to as “Hosted Job Sites”). Personal and/or demographic information supplied by you in Hosted Job Sites becomes part of the Jobalign.com database. If you attempt to register with Jobalign.com after registering with a Hosted Job Site, Jobalign.com may recognize your information and you may be able to use the information you provided to the Hosted Job Site in your account registration. If you apply for a position on Jobalign.com, through a Hosted Job Site or a co-branded site, you may be asked to provide information on your gender, race, or other protected status, or for a government identity number. Some employers are required by law to gather this information from job applicants for reporting and record-keeping requirements. You should understand that if provided, this information should only be used by employers in accordance with applicable law and they should not use it in making any negative employment decisions. However, Jobalign.com is not responsible for the actions of such employers. Jobalign.com offers any user the choice to utilize the Jobalign.com website. If you create a profile on or apply to a job through or otherwise use the Jobalign.com website, you are specifically consenting to the use of any personal information you have provided to Jobalign.com as set forth herein and in the Terms of Service. We gather certain information automatically and store it in log files. This information may include internet protocol (IP) addresses, browser type, internet service provider (ISP), referring/exit pages, operating system, date/time stamp, and/or clickstream data. Technologies such as: cookies or similar technologies may be used by Jobalign.com and our partners, affiliates, or analytics or service providers. These technologies are used in analyzing trends, administering the site, tracking users’ movements around the site and to gather demographic information about our user base as a whole. We may partner with third parties to either display advertising on our website or to manage our advertising on other sites. Our third party partners may use technologies such as cookies to gather information about your activities on this website and other sites in order to provide you advertising based upon your browsing activities and interests. If you wish to not have this information used for the purpose of serving you interest-based ads, you may opt-out by clicking here. Please note this does not opt you out of being served ads. You will continue to receive generic ads. Jobalign.com may create links to other websites. When you click on links on Jobalign.com you may leave our site. We are not responsible for the privacy practices of other sites, and we encourage you to read their privacy policies. Jobalign.com may display personal testimonials of satisfied customers on our website, in addition to other endorsements. We may post your testimonial along with your first name. If you wish to update or delete your testimonial, you can contact us at support@Jobalign.com. Jobalign.com is hosted in the United States and is intended for visitors located within the United States. If you choose to use Jobalign.com from the European Union or other regions of the world with laws governing data collection and use that may differ from U.S. law, then please note that you are transferring your personal information outside of those regions to the United States for storage and processing. Also, Jobalign.com may transfer your data from the U.S. to other countries or regions in connection with storage and processing of data, fulfilling your requests, and operating the Service. By providing any information, including personal information, to Jobalign.com, you consent to such transfer, storage, and processing. We will send you strictly service-related announcements and communications related to the service provided by Jobalign.com when it is necessary to do so. If you do not wish to receive them, you can change your e-mail preferences on the Jobalign.com website by visiting this link or you can unsubscribe by using the link at the bottom of an e-mail sent by Jobalign.com. The jobs contained in the Site, may have been created by people over whom Jobalign.com exercises no control. Jobalign.com’s job search results are indexed in an automated manner and Jobalign.com does not screen the jobs. Jobalign.com assumes no responsibility for the content of any job listing or website that is either included in Jobalign.com’s search results or linked to by Jobalign.com. Jobalign.com’s services are for your personal, non-commercial use only. If you wish to make commercial use of the Site, you must enter into an agreement with Jobalign.com to do so in advance. Please contact us for more information. If you post content or submit material, you grant Jobalign.com a nonexclusive, worldwide, perpetual, irrevocable, royalty-free, sub-licensable (through multiple layers of sublicensees) right and license to make, use, sell, sublicense, reproduce, distribute, perform, display, prepare derivative works from and otherwise exploit all such content and materials for any purpose without restriction. Furthermore, you grant Jobalign.com, its affiliates, and sublicensees the right to use your name and/or user name in connection with the content. You represent and warrant that all content and materials you provide shall be your original work product and will not be based on, or derived from, the proprietary information or items of a third party. You agree not to impersonate any person or communicate under a false name or a name you are not entitled or authorized to use. You will defend and indemnify Jobalign.com and its affiliates from any claims resulting from any content or materials you provide hereunder. At your discretion, you may provide feedback to Jobalign.com concerning the functionality and performance of the Site from time to time, including, without limitation, identifying potential errors, improvements, modifications, bug fixes, or enhancements (“Feedback”). If you, through your evaluation or otherwise, suggests any Feedback, you hereby grant Jobalign.com a nonexclusive, worldwide, perpetual, irrevocable, royalty-free, sub-licensable (through multiple layers of sublicensees) right and license to make, use, sell, sublicense, reproduce, distribute, perform, display, prepare derivative works from and otherwise exploit all such Feedback and materials for any purpose without restriction. You agree that Jobalign.com may disclose that Feedback to any third party in any manner and you agree that Jobalign.com has the ability to sublicense all Feedback in any form to any third party without restriction. You agree not to access (or attempt to access) the Site by any means other than through the interface that is provided by Jobalign.com, unless you have been specifically allowed to do so in a separate agreement with Jobalign.com. You agree that you will not engage in any activity that interferes with or disrupts the Site (or the servers and networks which are connected to the services or site). Unless you have been specifically permitted to do so in a separate agreement with Jobalign.com, you agree that you will not reproduce, duplicate, copy, sell, trade or resell the Site, or any portion thereof or content contained therein, for any purpose. You agree that you are solely responsible for (and that Jobalign.com has no responsibility to you or to any third party for) any breach of your obligations under this Agreement and for the consequences (including any loss or damage which Jobalign.com may suffer) of any such breach. Jobalign.com reserves the right to use the content of messages sent through Jobalign.com to prevent potentially illegal activities or activities that are detrimental to other users. Jobalign.com reserves the right to use a variety of methods to detect and address anomalous activity and screen content to prevent abuse such as spam. These efforts may on occasion result in a temporary or permanent suspension or termination of some functions for some users. Generate or facilitate unsolicited commercial email (“spam”). Such activity includes, but is not limited to: (a) sending messages in violation of the CAN-SPAM Act or any other applicable anti-spam law (b) imitating or impersonating another person or his, her or its email address, or creating false accounts for the purpose of sending spam (c) data mining any Jobalign.com property to find contact information (d) sending messages to users who have asked not to be contacted (e) selling, exchanging or distributing to a third party the contact information of any person without such person’s knowing and continued consent to such disclosure. You are responsible for maintaining the confidentiality of your employer account, profile and passwords, as applicable. You may not share your password or other account access information with any other party, temporarily or permanently, and you shall be responsible for all uses of your Jobalign.com registrations and passwords, whether or not authorized by you. You agree to immediately notify Jobalign.com of any unauthorized use of Your employer account, Profile, or passwords. Employers are solely responsible for their postings on the Site. Jobalign.com is not to be considered to be an employer with respect to your use of the Site and Jobalign.com shall not be responsible for any employment decisions, for whatever reason, made by any entity posting jobs on the Site. You understand and acknowledge that if you cancel your employer account or your employer account is terminated, all your account information from Jobalign.com, including saved applicant profile and interview responses, network contacts, and email mailing lists, will be marked as disabled in and may or may not be deleted from Jobalign.com’s databases. Information may continue to be available for some period of time because of delays in propagating such disablement through Jobalign.com’s web servers. Jobalign.com reserves the right to remove any job posting or content from the Site, which in Jobalign.com’s sole discretion, does not comply with the above Terms, or any other reason. If at any time during your use of the Site, you made a misrepresentation of fact to Jobalign.com or otherwise misled Jobalign.com in regards to the nature of your business activities, Jobalign.com will have grounds to terminate your use of the Site. You shall be charged based on the amount indicated by Jobalign.com pricing schedules. You shall pay all charges in US dollars. Charges are exclusive of taxes. You are responsible for paying (y) all taxes and government charges, and (z) reasonable expenses and attorney fees Jobalign.com incurs collecting late amounts. You waive all claims relating to charges unless claimed within 60 days after the charge (this does not affect your credit card issuer rights). Refunds (if any) are at the discretion of Jobalign.com and only in the form of credit for Jobalign.com services. You acknowledge and agree that any credit card and related billing and payment information that you provide to Jobalign.com may be shared by Jobalign.com with companies who work on Jobalign.com’s behalf, such as payment processors and/or credit agencies, solely for the purposes of checking credit, effecting payment to Jobalign.com and servicing your account. Jobalign.com may also provide information in response to valid legal process, such as subpoenas, search warrants and court orders, or to establish or exercise its legal rights or defend against legal claims. Jobalign.com shall not be liable for any use or disclosure of such information by such third parties. Jobalign.com may modify or terminate the Jobalign.com services from time to time, for any reason, and without notice. Jobalign.com reserves the right to modify this Agreement from time to time without notice so check back often to review this Agreement. Your continued use of the Site following any changes to this Agreement constitutes your acceptance of the revised Agreement and any further use of the Site is subject to the revised Agreement. Jobalign.com disclaims any and all responsibility or liability for the accuracy, content, completeness, legality, reliability, or operability or availability of information or material displayed in the Jobalign.com results or posted on the Jobalign.com website by Jobalign.com or third parties. Jobalign.com disclaims any responsibility for the deletion, failure to store, misdelivery, or untimely delivery of any information or material. Jobalign.com disclaims any responsibility for any harm resulting from downloading or accessing any information or material on the Jobalign.com site or on other sites on the Internet accessed through Jobalign.com. Without limiting the foregoing, under no circumstances shall Jobalign.com or its licensors be held liable for any delay or failure in performance resulting directly or indirectly from acts of nature, forces, or causes beyond its reasonable control, including, without limitation, Internet failures, computer equipment failures, telecommunication equipment failures, other equipment failures, electrical power failures, strikes, labor disputes, riots, insurrections, civil disturbances, shortages of labor or materials, fires, floods, storms, explosions, acts of God, war, governmental actions, orders of domestic or foreign courts or tribunals, non-performance of third parties, or loss of or fluctuations in heat, light, or air conditioning. If you believe in good faith that a notice of copyright infringement has been wrongly filed against you, the DMCA permits you to send Jobalign.com a counter-notice. Notices and counter-notices must meet the then-current statutory requirements imposed by the DMCA; see http://www.loc.gov/copyright/ for details. Notices and counter-notices with respect to the Site should be sent to Jobalign.com Copyright Notice, PO Box 2787, Kirkland, WA 98083 (copyright @ Jobalign.com). We suggest that you consult your legal advisor before filing a notice or counter-notice. Also, be aware that there can be penalties for false claims under the DMCA. Any waiver of any provision of this Agreement will be effective only if in writing and signed by Jobalign.com. The materials on this Site are provided with “Restricted Rights.” Use, duplication, or disclosure by the Government is subject to restrictions as set forth in applicable laws and regulations. Use of the materials by the Government constitutes acknowledgment of Jobalign.com’s proprietary rights in them. Jobalign.com reserves all rights not specifically granted herein. You shall not modify any copyright notices, proprietary legends, any trademark and service mark attributions, any patent markings, and other indicia of ownership on the materials accessed through the service or site other than your content. Any use of materials or descriptions; any derivative use of this site or its materials; and any use of data mining, robots, or similar data gathering and extraction tools are strictly prohibited. In no event shall the user frame any portion of the site or any materials contained therein.